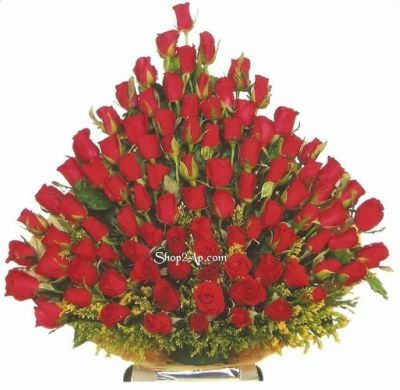 Stunning Beauty(Roses).Our florist has set 75 Red Roses arranged beautifully in a basket with green leaves. This fiery combination conveys your intense feelings and passion well. • The image displayed is indicative in nature. Actual product may vary in shape or design as per the availability.